Exclusively for Platinum and Gold users. You could win a free domestic round-trip ticket from Nok Air from Bangkok to Khon Kaen, Hat Yai, Chiang Mai, and Phuket! Use 100 GrabRewards points to redeem a chance to win the tickets. You can redeem as many times as you want to increase your chance. Every 100th person who made the redemption each week, such as 100th, 200th, 300th and so on, will win one round-trip ticket from Nok Air. 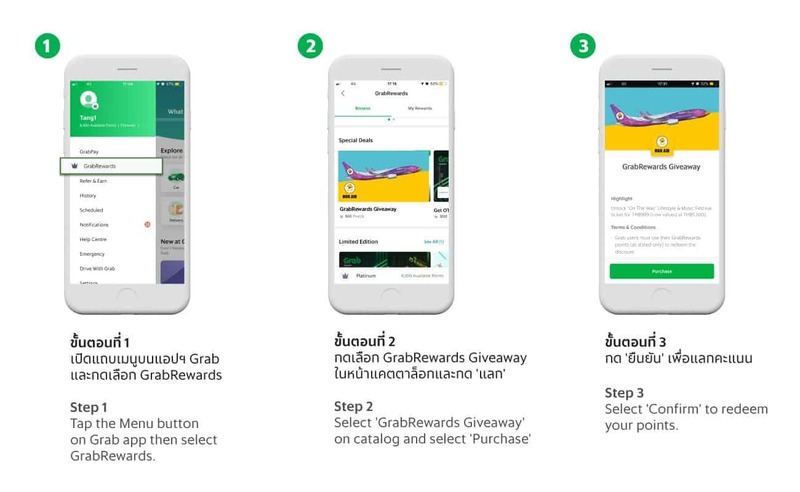 Note: After making a redemption by using GrabRewards points, there’s no further action required from users. Just sit back, relax, and wait for our weekly winners announcement.